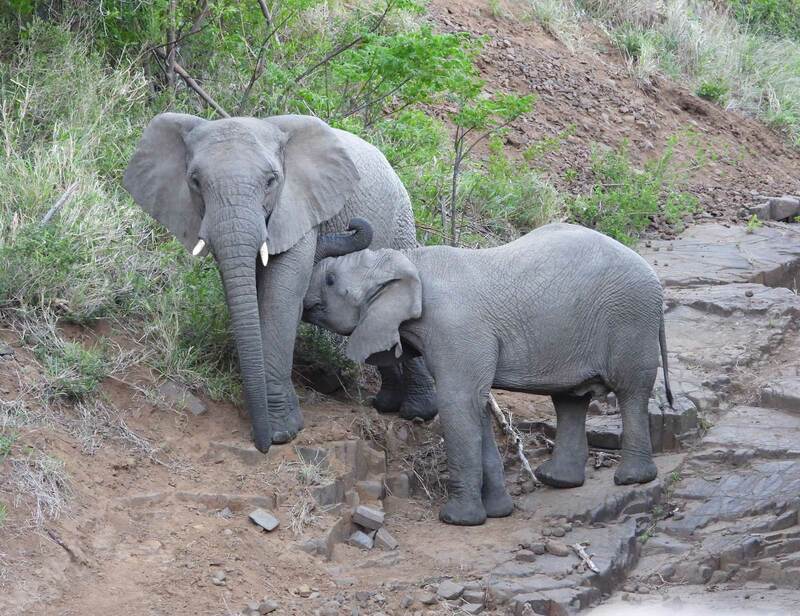 Natasha’s clients enjoyed a once in a lifetime safari, and sent us the most incredible feedback. 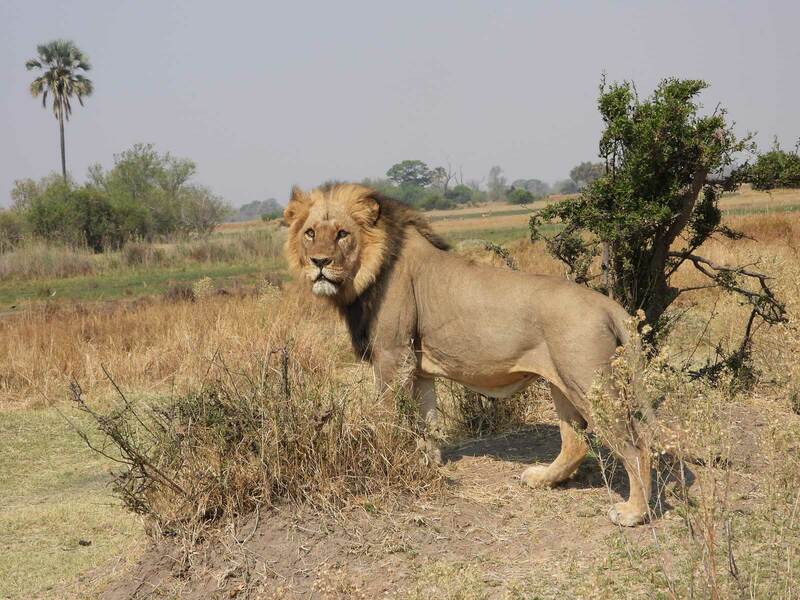 Their safari journeyed its way through Botswana’s game-rich Savuti region, the Okavango Delta and the contrasting tropical region of KwaZulu Natal in South Africa. Their safari took them through a variety of wildlife-rich regions, and they enjoy a stay at Savute Lodge, Xakanaka, Laroo La Tau, Thula Thula, and Rhino Ridge. All the images below are courtesy of Maggie and Julian. We are so glad we stayed at Savute for four nights. It was our favourite camp and indeed still is. We had a lovely room overlooking the waterhole and enjoyed continual day and night sightings, sounds and wonderful aromas of the African bush. 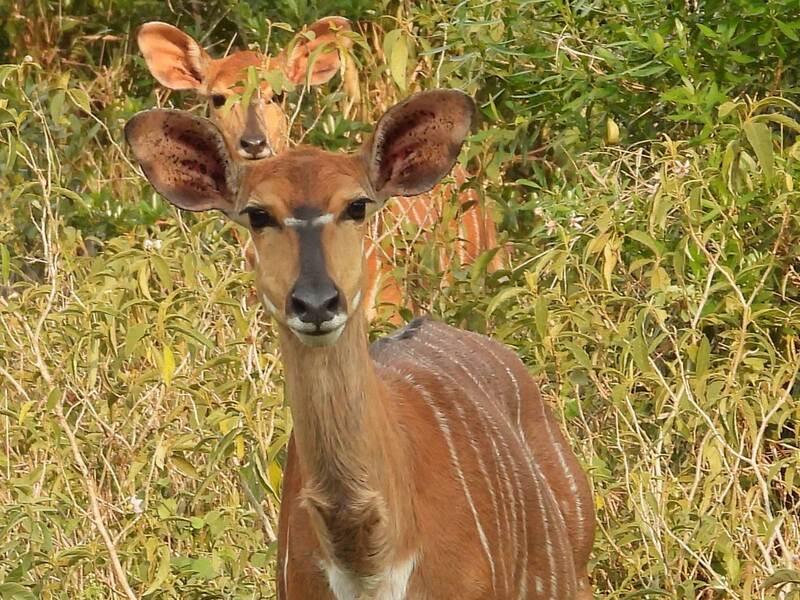 On our daily drives we saw plenty of game including lions, leopards, tsesebe, bat-eared foxes and roan antelopes. One thing we witnessed which we’d never seen before was a kill. We were sitting at dinner on the deck watching quite a few elephants in the waterhole and suddenly a male impala galloped into the water startling the elephants. The impala was swiftly followed by a wild dog. 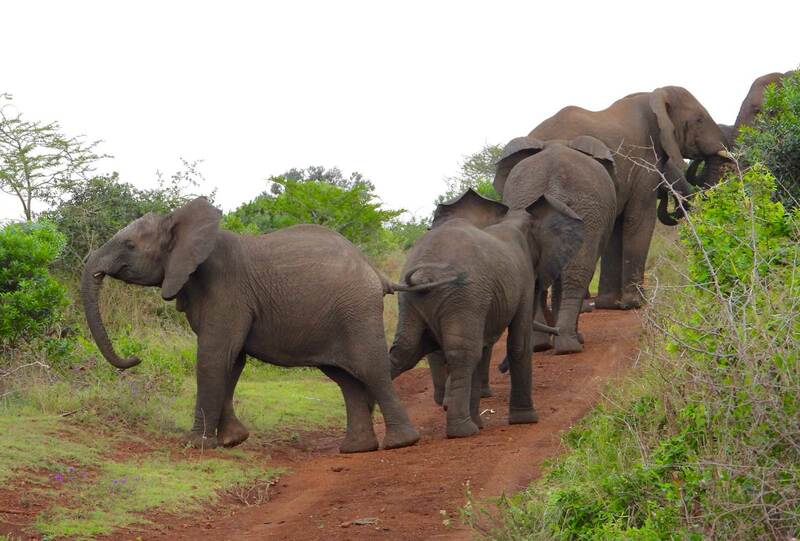 The elephants were very agitated and chased the poor impala out and straight into the jaws of the wild dog. We expected more of the pack to arrive at any moment, but they never did. 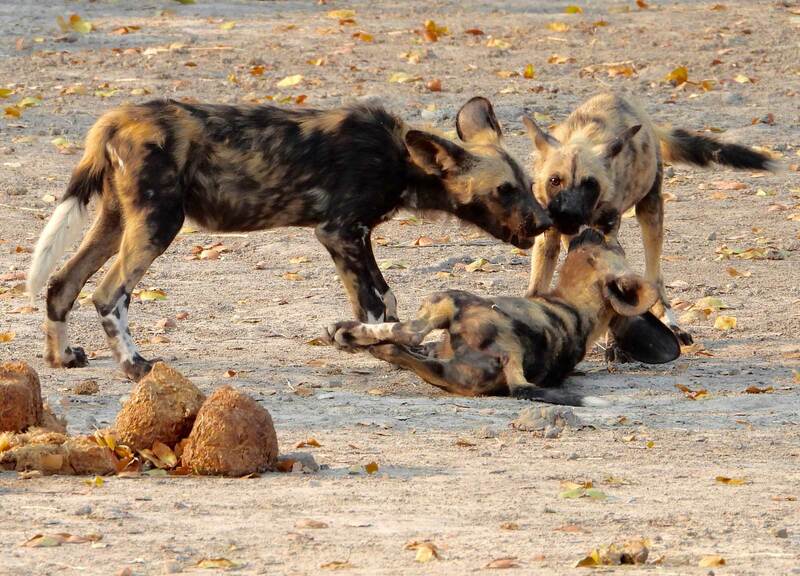 The dog gorged on the kill and very soon after, the hyenas arrived for their share, followed some time later by lions. We witnessed the entire very fast episode and were rather glad it wasn’t broad daylight, but what we were rather sickened by was the blood-thirsty attitude of some of the other guests who took great delight in the spectacle as if they were at the gladiatorial games of Ancient Rome. We enjoyed our lovely tent as it was such a contrast to our rather swanky cabin at Savute and we loved seeing Oscar the camp’s in-house resident hippo grazing on the lawn under the sprinklers. Game viewing once again was excellent with a sighting of two cheetah brothers who provided us with excellent photos. We were offered the chance of an all-day trip to the further reaches of Moreme Reserve and we and another very nice couple were the only ones interested. It was a lovely day and we were absolutely delighted with the lavish picnic lunch the chef had packed for us. 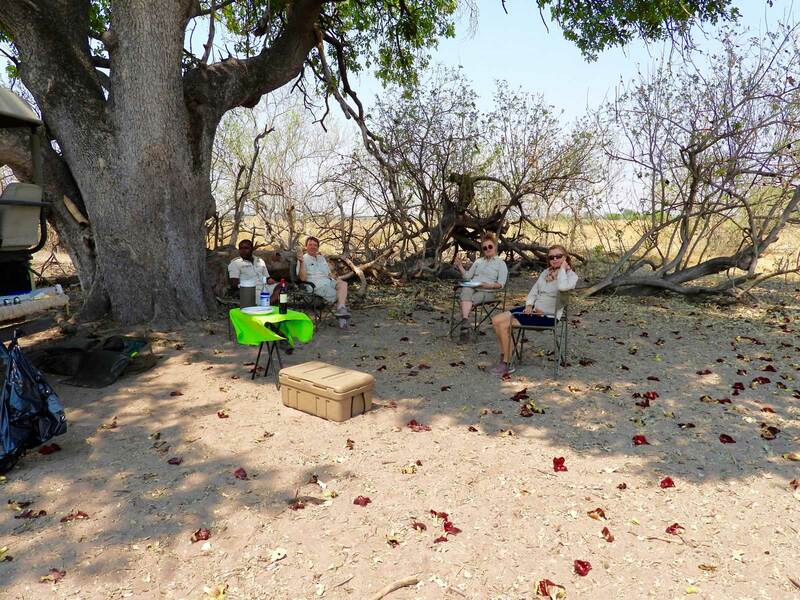 Equally delightful was the lunch location under a huge baobab tree which was in full flower with its huge red blossoms dropping all around us. It was at Xakanakxa that we had the only good wild dog sighting of the entire trip. There were about ten adults, some with tracking collars and about ten young pups. They were just finishing the remnants of an impala kill and then they were off deep into the bush to snooze. The camp and its rooms overlooking the river was gorgeous. Game viewing was good, but not as good as the previous two camps. We were though wowed by the sight of hundreds of zebras coming down to the river to drink and on another occasion we were even more wowed when we came across the remains of a zebra lion kill. Feeding together were a mass of vultures and jackals going in and out of the cavernous rib cage. It was a very interesting scene if a little gory, but it was nice to see how tolerant they were of each other. We opted to go on another all day trip, the main reason was to escape a lady who just never shut up and who wanted to stop and take note of every bird and twig she saw. In fact the trip to Nxai Pan and a fabulous waterhole teeming with animals galore was probably the highlight of our Laroo stay. At the waterhole were springboks, elephants, wildebeest, ostriches, lions, kudu, zebras and kites. We even saw the pride of eight lions twice attempt a kill. After yet another delicious picnic we drove off to the Banes Baobabs, suffered a puncture and then back to camp and the chatterbox lady. Alas that was the end of our Botswana stay, but we did have a spot of excitement at Maun airport when we recognized the author Alexander McCall Smith. He was absolutely charming and we had a very interesting chat about The Number 1 Ladies’ Detective Agency and his other fabulous writings. He even signed a book of his musings and gave it to us. Back in South Africa we flew off to Richards Bay and with with an attempt at using GPS and driving three times round and round the same church, we managed all on our own to get to Thula Thula. The camp is set in a lush green hilly area and the main attractions are the elephants, some of which are part of the original herd taken in by The Elephant Whisperer. We met Francoise his widow and bought signed copies of her book Elephant in my Kitchen and we in turn presented her with a 1935 secondhand book by Frederick Selous telling of his ghastly hunting exploits. This we hoped would be a good addition to the Thula Thula library just to illustrate what not to do on safari. It’s strange though that the biggest game reserve in Africa is named after that awful man whose sole intention was to kill and collect trophies. Other game on the Thula Thula reserve were nyala, kudu, giraffe, vervets, zebra and a pair of rhinos who had been hand-raised from little orphan babies. They had an armed guard 24/7 and their horns were regularly removed as another safety precaution. They hope the rhinos will breed, but so far the male is a bit clueless! On the other hand the elephants are on birth control medication as the reserve has the maximum number permitted for the size of land. This they hope will change soon as Francoise was at that very time engaged in discussions with local chiefs to take over a large area of their land to add to the reserve. It is hoped too that lions can be introduced, but more suitable fencing is mandatory. ex-boyscout couldn’t resist lighting the fire, but we only dipped our toes in the pool. The scenery was lovely but there wasn’t that much game around. In our three days there we saw two elephants and a possible distant sighting of a lion’s ears poking up behind a bush, but thankfully the camp did live up to its name of Rhino Ridge. We had never seen so many rhinos in one area and from one hillside we counted fourteen of them scattered around below and we often got good close-up sightings for photography too. We are back home now and as usual look wistfully at our photos, our African cushions and our collection of elephant, rhino and zebra tee shirts.